Qigong is an ancient practice that literally means cultivating your vital energy, or gi. This is done by a combination of exercises or movements, self massage, and meditation and breathing exercises. Tai Chi is the very well known and popular practice of Qigong, but it is performed with movement. All practices like yoga, Tai Chi and Qigong are a form of meditation which allows the system to align with its energy, and all are practised with moving exercises. The difference between Qigong and Tai Chi is the way these exercises are practiced, and how the energy is manipulated in the body. Traditionally, Tai Chi is practiced in a very specific form. You will have to first learn a set of exercises and body postures which will take you about 45 minutes to perform, and then it will take approximately one year to learn, and a lifetime to perfect. With Qigong, you can take simple exercises and learn them quickly, by repeating them again and again. Some of these exercises are taken from Tai Chi postures, and then they are called Tai Chi Qigong. 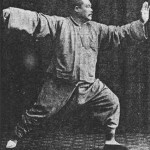 While practicing Tai Chi, the aspirant is asked to focus his energy on some clear level of his system, either expressing the force of his energy, or directing that force into a specific part of his body. This is the same for those practicing Qigong. However, Tai Chi is more focused on posture and alignment while doing the exercises, which is something you need to remember while you are practicing Qigong as well; however, the rules are not so harsh. Another important difference between Tai Chi and Qigong is the idea of practicing with a partner, or touching hands with someone else to create a higher energy. This is very commonly done in Tai Chi, and you often see people practicing Tai Chi in groups, whereas with Qigong, the only way of touching is through self massage or reflexology. In Qigong, you are asked to do a series of exercises over and over again. However, with Tai Chi, you can do a set of exercises a few times and then move on to the next set. Repetition is not as common in Tai Chi as it is in Qigong. Tai Chi is based on martial arts, and is trying to work with the internal energies of the body. Qigong is an ancient, traditional Chinese practice, that allows the individual to maintain a healthy balance of energies to get the proper stability, and it also counteracts the energy blockages in the system. Another difference between Qigong and Tai Chi, is that Tai Chi is not something that you can learn very easily, or quickly. This is not a practice you can learn via videos. Qigong is easy to learn, better health benefits are seen more quickly, and you can learn Qigong from a video as well. However, most people prefer Tai Chi over Qigong, because the flow of movements that Tai Chi offers is very interesting and relaxing. 1. Tai Chi is a form of exercise that may take longer to learn, but Qigong can be learnt quickly. 2. Tai Chi is based on martial arts, and is focused on working with the internal energies of the body, while Qigong is an ancient, traditional Chinese practice. 3. In Qigong, you are asked to do a series of exercises over and over again. However, with Tai Chi, you can do a set of exercises a few times and then move on to the next set. Manisha Kumar. "Difference Between Qigong and Tai Chi." DifferenceBetween.net. January 9, 2018 < http://www.differencebetween.net/miscellaneous/difference-between-qigong-and-tai-chi/ >.